One of the most dangerous jobs in the world – and possibly the best when things go right – is being a political leader or activist in Pakistan. Let’s face it, few companies are queuing up to offer life insurance and it is something I raised with Imran Khan a few years back during an interview when he talked about his ambitions to lead his beloved country. He looked me straight in the eye and said his life was in God’s hands. Of course, it is easy to be utterly fearless during an interview with a journalist in leafy England but I truly believe he is a man of vision and courage. 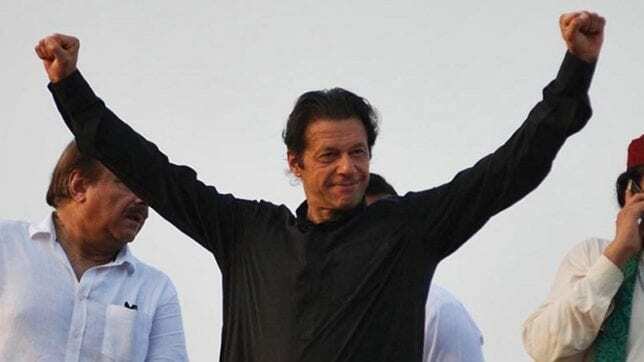 Khan proved it this week when it emerged that Khadim Hussain Rizvi, chief of Tehreek-e-Labbaik Pakistan (TLP), and three other party leaders have been charged with treason and terrorism over the ongoing row over Aasia Bibi and her acquittal of blasphemy. The announcement was made by Pakistan’s Information Minister Fawad Chaudhry who said on Saturday: “Today we have decided to take legal action against the TLP leadership. All those who were directly involved in destroying property, who misbehaved with women, who set fire to buses, are being charged under laws of terrorism at different police stations.”Around 3,000 people have been arrested in connection with the TLP protests. Rizvi, along with several other TLP leaders, was among those detained last month after the police crackdown in Punjab province and the port city of Karachi. Thousands of demonstrators called for Christian woman Bibi’s execution after the Supreme Court overturned her death penalty ordering she be freed after eight years in jail. During the violent protests, TLP co-founder Afzal Qadri called for a mutiny against the all-powerful army chief, General Qamar Javed Bajwa, the murder of the Supreme Court judges who acquitted Bibi, before branding Prime Minister Imran Khan a “son of Jews”.Qadri has also been charged with terrorism and sedition, along with other senior TLP leaders including Inyatul Haq Shah and Hafiz Farooqul Hassan. Be in absolutely no doubt this heroic stand by Khan will have consequences and hopefully, it will be a turning point in Pakistan’s shameful history over the country’s past determination to uphold blasphemy laws. Those laws are draconian and Khan knows if Pakistan is to graduate from being a developing nation it must shake off the primitive, violent image it has (unfairly) accrued. Pakistan adopted a constitution in 1956, becoming an Islamic republic. However, since those heady days, a few conservative scholars have tried to impose their skewed versions of Islam on the rest of the population which has spawned violence and promoted the subjugation of women. In the Bibi case, the 53-year-old was accused by two Muslim women of having insulted The Prophet Muhammad and the Holy Qur’an during an argument sparked by their refusal to drink water from the same vessel as her in 2009. This sort of bigotry has no place in Islam today and I’m pretty certain would be condemned by Islam’s final prophet if he were alive today. As a result, Bibi was convicted and sentenced to death in 2010, with the Lahore High Court upholding her conviction four years later. Her nightmare ordeal finally ended when she was acquitted a few weeks ago. Don’t get me wrong. I’m not saying that blasphemy against Islam and the prophet should be ignored. Nor should inciting hatred against any other religion or culture is ignored in Pakistan, either but there has to be a more civilised, enlightened approach. The mob violence spawned from these sort of trials has absolutely nothing to do with Islam. Mob lynchings and extrajudicial murders have no place in any country in the 21st century.PM Khan understands this and if he is to lead his great nation into the 21st century he should get the full support of his people. I just hope that his courage and determination is rewarded and seen for what it is.